The Do 18 was originally produced as a trans-Atlantic mail carrier to supersede the Dornier Wal 33 (from 1934 Do 15) in service with Deutsche Lufthansa on its South Atlantic routes, and later used as a medium-range maritime reconnaissance type by the Luftwaffe. The first of four prototypes made its maiden flight in March 1935, one of them being used for an experimental crossing of the North Atlantic. The twin-Junkers Jumo 205 diesels were mounted in tandem above the wing centre section, itself carried on a semi-circular hull with characteristic Dornier under-surface and lateral sponsons, and strengthened for catapulting (most German warships were equipped with catapults for mounting aircraft – vital for long-range reconnaissance). Only six civil flying boats were completed, the majority of the approximately 148 production boats going to the military for service from 1938. The primary military variants were the Do 18D (three sub-variants to a total of about 75 machines) with 447.5kW (600hp) Junkers Jumo 205D Diesel engines, the Do 18G improved Do 18D with revised armament and provision for RATO units, and the Do 18H six-seat trainer. 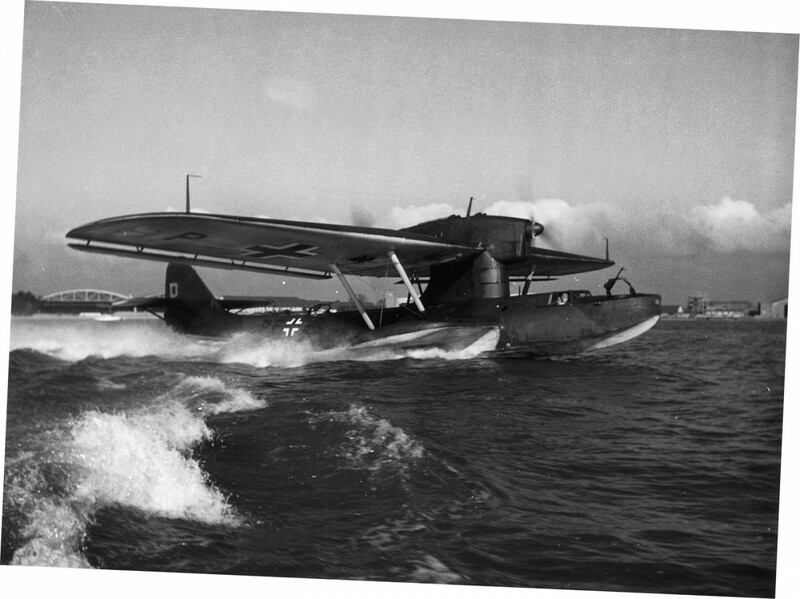 Do 18G and Do-18H production was 71 flying boats, and many Do 18G machines were converted to Do 18N standard as air-sea rescue flying boats.